This post is part of our special coverage Languages and the Internet. The Bangla blogosphere and Bangladeshi Facebook users are angry and protesting the accusation that ‘Avro‘, a popular and widely used freeware Bangla input system, is a pirated version of a popular commercial Bangla input system called ‘Bijoy‘ and that the Avro team have been called hackers. In an article in a Bangla news daily, Mustafa Jabbar, the proprietor of Bijoy and a pioneer of Bangla computing said hackers were responsible for spreading pirated copies of his Bijoy software on the internet. He also said that UNDP had helped these hackers to be selected by the Bangladesh Election commission for their national database works. It may be mentioned here that Bangladesh saw more than 20 proprietary Bangla input software products between 1984 and 2002 and the most popular of them was Mustafa Jabbar's Bijoy during that period. Many developers worked on its various versions. Despite this, the real boost in Bangla computing came when in 2003 Mehdi Hasan Khan, a Bangladeshi medical student, developed Avro using the Unicode standard. Avro is a closed-source but free graphic keyboard layout changer, and was further developed during the last six years by Mehdi and his friends Rifatunnabi, Tanvin Islam Siam, Ryan Kamal, Shabab Mustafa and Nipun Haq. Bijoy is a ASCII based, proprietary Bangla input system software and requires the purchase of a license to use. Avro on the other hand is a Unicode-based freeware which offers four different input systems with four keyboard layouts – Avro Phonetic, Bornona, National (Jatiyo) and UniBijoy. The Avro phonetic (or transliteration) input system is the most popular and widely used – especially by the diaspora who do not have access to a physical Bangla keyboard. Using the Avro phonetic transliteration system they can generate Bangla words from Roman typefaces with ease. Bijoy was a milestone for Bangla Computing. There is nothing to belittle Bijoy's contribution. 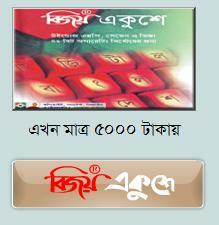 Even today there is no option for Bijoy in the print industry (Unicode Bangla is not supported in Photoshop). But in this era of Internet Bijoy is lagging behind. [..] So Avro came with a promise. A young man named Mehdi Hasan created Avro on his own. And he spread it across the globe via internet. Anyone can download the software and use it (for free). The popularity of Avro is now sky high. Many people are not using Bijoy anymore. [..] Mustafa Jabbar is afraid. When the Election commission chose Avro instead of Bijoy for their voter ID project, he was infuriated with Avro. [..] So he is using his popularity to spread allegations against Avro. And he has created himself a laughing stock. Where we were supposed to revere him, hatred against him is being generated. The Voter ID and National ID project, the largest digital database project in Bangladesh's history, used Avro. Their first choice was Bijoy, but its proprietor company asked Taka 5000 (US$70) license fee for each computer, so they have decided to use Avro instead. In return they only had to give a certificate to Avro. 1) If the clone of the layout is used without permission. When the question of permission came I called Mr. Jabbar in 2003 when I was planning to build Avro for his permission to use Bijoy. He answered that he will not give permission without a fee. So I did not use the Bijoy keyboard with the (open source) Avro. UniBijoy and Bijoy were never the same keyboard layout, not even now. Where only one key difference creates a different layout, there are a difference of 8 keys between Unijoy and Bijoy. We never did! Avro input system is just a software. We do not sell any physical keyboard with Bijoy layout. 3) If the code of the Keyboard interface is reused without the permission of the programmer. I say again, this point does not stand out. Bijoy is a closed source program. Avro cannot be developed from that source code. So how Bijoy was hacked to create Avro – I demand an explanation. Read his post for detailed explanations. * In Avro no fonts of Bijoy software works. So Avro is free from piracy. It is always based on free unicode fonts. * Avro has also a linux version. But Bijoy runs only in Windows and Mac. When I started work on Bangla wiki in 2006, then I was not conversant with Bangla typing. Most of our Bangla wiki volunteers learned to type in Bangla using Avro Phonetic. Today there are 20,000 entries in Bangla Wikipedia and most of them were written using Avro. So Avro has a huge contribution in leaving the next generation a large collection of Bangla content in the internet. Bangladeshi netizens are showing their support towards Avro in Facebook and blogs. It is unforeseen that three Bangla blogging platforms Sachalayatan, Amar Blog and Amra Bondhu had changed their banner to Avro Logo to show their support in protesting Mr. Jabbar's claims. Nazrul Islam Let language be free. I will not lease my language to any profiteer.. never. Omi Rahman Pial: We have bought our language with blood. Shame to those who wants to make profit from it. Let language be free. পাইরেসির অভিযোগ এনে এক ডিজিটাল চোরের আস্ফালন!!! Wow, this is a great story and a really interesting problem generally. Bangla seems to be such a challenging language to deal with online, it makes sense that the few people supporting it would have a bit of a ground war. It seems the Avro guys are almost definitely on the right side of the dispute, though the nature of keyboard layouts and copyright law isn’t something I’ve really thought about before. Since the code is different there is no way Avro is a ‘hacked’ bijoy, but it could be interpreted as reverse-engineered or being a kind of emulator for the Bijoy input format. IMHO that is not an issue where copyright has anything to say, at least in USA/Canada terms. It would be similar to OpenOffice reverse-engineering the Word document format for the purposes of importing and exporting. It doesn’t remove the need for the original product, it just offers compatibility for those who are used to the other option but want to use a different tool. It’s vaguely possible that there is a patent claim that applies but almost definitely not. Unless Bangladesh has an unusually-long term for patents, any patents originally filed on the layout of the Bijoy system would be in the public domain by now, so the uni-bijoy system would almost definitely be safe. Hopefully the Bijoy owner can stop trying to fight against the wind and start making a stronger product instead. His claims are unjustified and wouldn’t be effective even in a copyright-obsessed country like the USA. According to the wikipedia article about Avro it seems that it is in fact closed-source and only free as in Beer (i.e. free price but not free development). Thanks Julfiker and Jeremy. I have corrected the term. It should really be ashamed of as software giant like microsoft rejected/did not take/get any keyboard layout to integrate in their products.. they took the layout of West Bengal…. from my point of view Mr. Jabbar is solely responsible for that. it is because he was the incharge ICC of bangladesh that time (till today) and he used his power for unethical business.. he tried to push his bijoy to the world as the universal layout .. but didn’t try to call the ICT Community to seat and hand over a a research basaed and quick to learn – easy to use type layout..
and that is why we are where fighting like cats and dogs- biting our flesh for WHO VS WHO like compitition..
obviously avro carries a big support of young generation as they provide phonetic layout which is much more easier to learn and to use but again avro does not have any support for printing and publication media … as Avro is also a closed source software we the developer community can not help to research and to update it for printing media so that it could be used evrywhere…. YOU CAN NOT SAY ‘LET LANGUAGE BE FREE’ with a Closed Source software… what if one day avro will charge you to use it ???? Surely it might be.. Cause it is a closed Source… and anytime there is a chance to let it be closed for free distribution…. :Thanks Mr. Sakib for your note about making Avro keyboard as open source. Actually a Linux version of Avro keyboard source code is available in the following link. A discussion to make Avro as open source is going on since 2007 December 27. 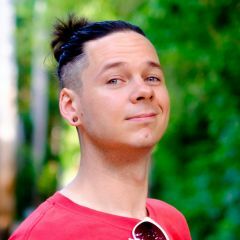 Hope it becomes open source in near future. Thanks Mr. Anwar for providing a helpful information… and clearify my Suspicion. The problem of Mustafa Jabbar is increased in many fold. Because, recently, the version (4.5.3) of Avro Keyboard Software is released. The UniBijoy Keyboard layout is removed from this version. So it became completely pure and free from any allegation of Jabbar. But the UniBijoy keyboard layout can be easily used with any Avro software by the following way. So, people will use Unibijoy keyboard layout with latest version of Avro software in legal way. Mustafa Jabbar can not eliminate the use of that layout in Avro. Moreover the awareness about Avro Keyboard Software is increased in great deal. I know many who came to know about phonetic Bangla typing software in computer using Avro after the Avro Bijoy conflict.